Citing Far East supply-chain sources, Bloomberg’s Mark Gurman was first to reportback in November 2017 of Apple’s work on an upcoming iPad Pro. The new model was not only rumored to be redesigned from the ground-up touting many iPhone X-inspired aesthetics like the notch and an edge-to-edge display, but that also boasts an impressive mix of power, performance and advanced features like Face ID, an octa-core CPU, and components dedicated to facilitating an improved AR experience. There was a “slim chance” we could’ve seen this next-generation iPad Pro yesterday at WWDC, however, suffice it to say, we did not.. 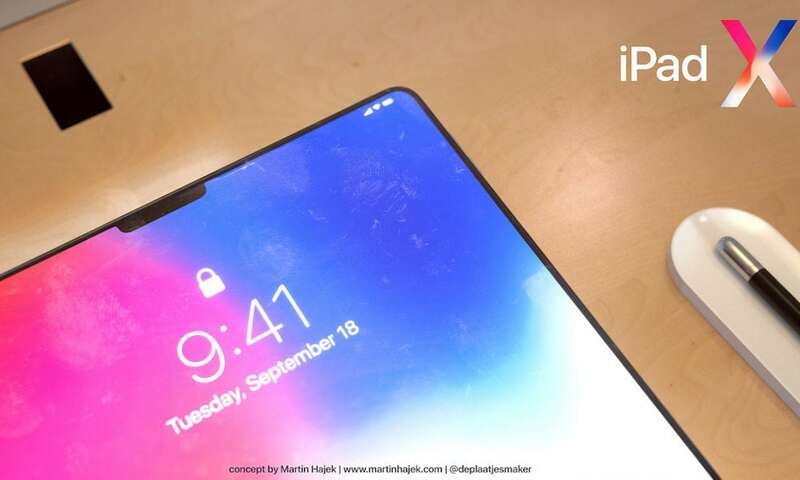 So if it’s coming at some point this year, as both Gurman and analyst Ming-Chi Kuo have speculated, it will more than likely arrive either alongside or shortly after Apple’s trio of new iPhone models expected this fall. Several UI tweaks discovered in the newly released iOS 12 developer beta 1 appear to hint that Apple is merely laying the groundwork for a more universal iOS build capable of operating similarly across all compatible iPhone and iPad devices. 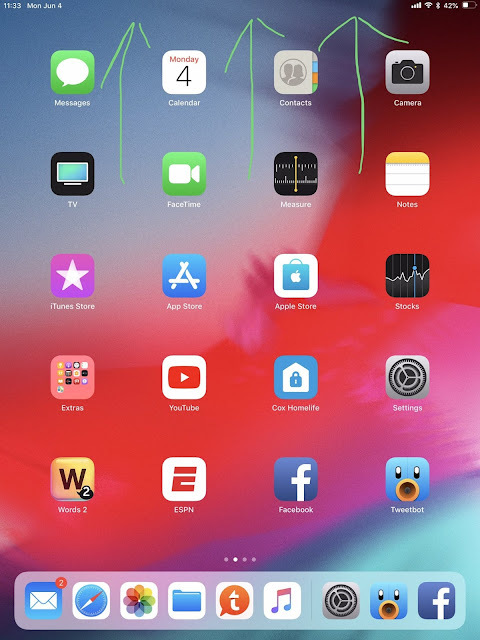 MacRumors reports that Apple has tweaked iPad gestures in iOS 12 so as to “bring them in line with gestures on iPhone X.” For example, Swiping up from the bottom dock on iPad now brings up the Home screen, as it does on iPhone X in lieu of a Home button. Similarly, iOS 12 users now swipe down from the upper-right corner of the iPad to bring up Control Center, as opposed to swiping up from the bottom like on iPad running iOS 11. Digging deeper into the new OS, MacRumors noted additional UI changes like a slightly modified status bar design, which could possibly hint at Apple’s work on an iPad with a notch. As you can see, editors running iOS 12 beta 1 on an iPad noted that the time, day, and date are all located on the upper left-hand side of the screen now — while the right-hand side displays Wi-Fi/LTE connection, Bluetooth status, and battery life. Of course, while it’s possible Apple is merely trying to create fluidity and familiarity across its entire range of iPhone and iPad devices on iOS 12, it’s also just as possible that the company has implemented these subtle changes to “pave the way” towards its upcoming iPhone and iPad Pro models all built on an iPhone X form-factor. According to Gurman’s original report, Apple’s next-generation iPad Pro could feature a wide-range of new technologies and advancements including an iPhone X-inspired design with slimmer edges, a fast octa-core (eight core) A12 CPU, a custom Apple-built GPU and Neural engine for AR task processing, a TrueDepth camera system with support for Face ID, and no Home button. The historically accurate Ming-Chi Kuo chimed in weeks later, echoing Gurman’s sentiments about Apple’s upcoming iPad Pro in a research note to his investors. And while both analysts originally speculated that we may or may not see the new tablet at WWDC, given we did not, it’s only safe to assume that an iPad Pro may or may not arrive this fall now, either alongside or apart from all the new iPhones.